The Trump administration has approved a $200 million contract to provide support for services for the Polish Air Force’s US-supplied fleet of F-16 combat aircraft, the Defense Security Cooperation Agency said in a statement. WASHINGTON, (Sputnik) — The support and sustainment services to be provided for Poland’s F-16s includes aircraft maintenance; system upgrades; engine support; spare and repair parts and support and test equipment. "The State Department has made a determination approving a possible Foreign Military Sale to Poland for follow-on support and sustainment services for its F-16 fleet for an estimated cost of $200 million," the statement said on Tuesday. 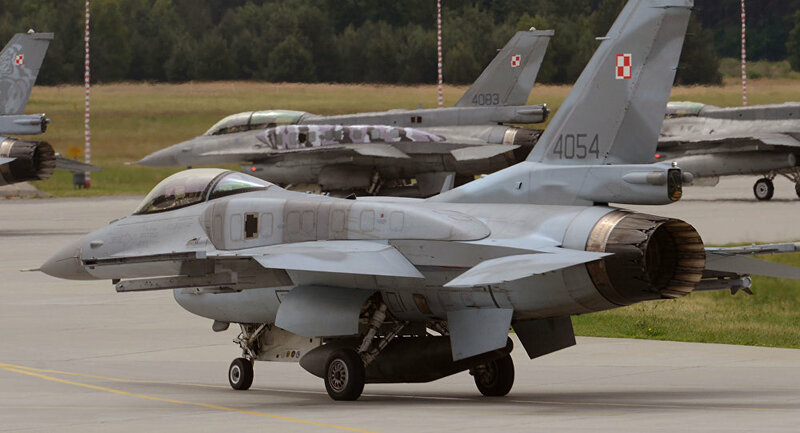 Poland currently operates a fleet of 36 F-16s built by Lockheed Martin. In the end of 2016, Poland also signed a $200 million agreement with the United States to purchase new cruise and air-to-air missiles for its F-16 fighter jets.